With all the news media reporting on civil unrest around the world, whether it is the wars in Syria, Ukraine, Iraq, Afghanistan and more, or the street violence in the US and Central America, it might seem so surreal that it could very well be coverage of video games. 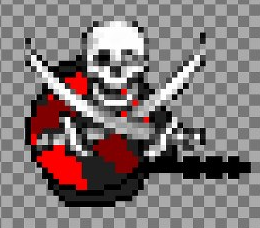 In fact, the difference between real life and video game is so slight that many in the news media mistake video game footage for real life carnage. 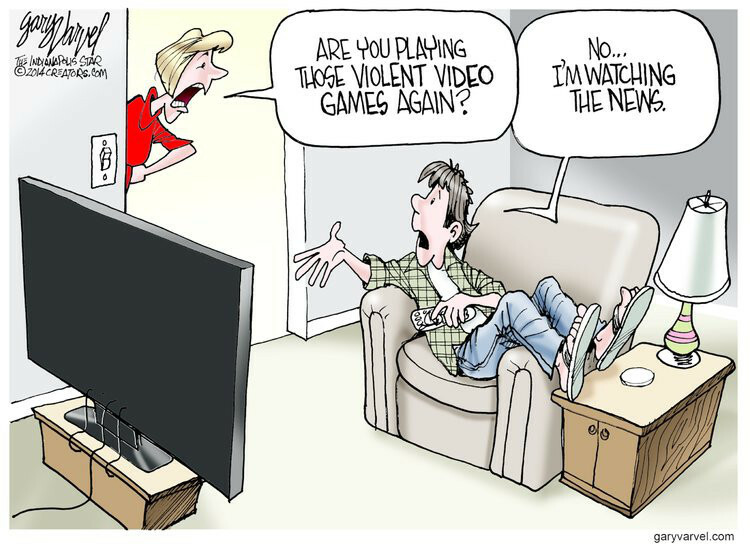 Perhaps this is where Gary Varvel pulls his inspiration for this editorial comic in which a mother complains about her son’s video games only to learn he is watching the news. Is this a case of art imitating life or the other way around?